Camping gear is always improving and here at Jebiga, we love to cover interesting and necessary items for your next getaway. This is a list dedicated to Camping Essentials so feel free to check it out and find what you’re missing for this season. 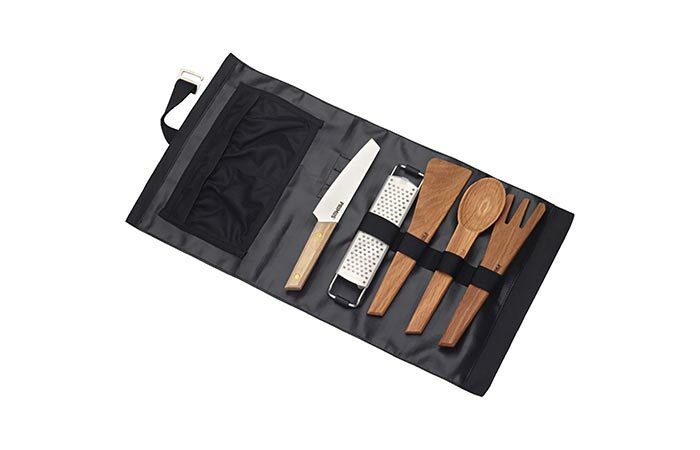 A foldable set that will make cooking outdoors easier. Whether you’re making a huge salad for everyone or preparing meat for the barbecue, the Primus Campfire Prep Set will be of use. It includes a stainless steel blade knife that can be used for cutting different types of food. Also, you’ll find an oak spatula, fork, and spoon for tossing and mixing salad as well as a steel grater for adding cheese to your dish. The best part- everything comes in a polyester cotton bag that can be folded for clean and compact storing. 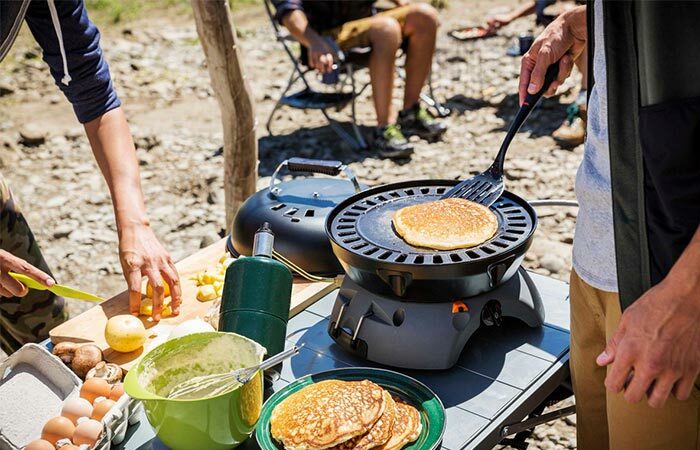 With this grill, make breakfast, lunch or dinner at the campsite. With Eureka Gonzo Grill, you’ll be able to prepare tasty food in the campsite. This cooking system is flexible and with it, you can prepare breakfast, lunch, and dinner. It comes with an adjustable spindle that allows you to set the fuel flow and a steel lid with adjustable vents. The cast iron griddle top is perfect for heating sandwiches and making eggs and it can be transformed into a cast iron grill just by flipping it. When you’re done using it, put it in the dishwasher and it will be clean with no hassle. When you’re out camping, the morning coffee is one of the most enjoyable things you can imagine. 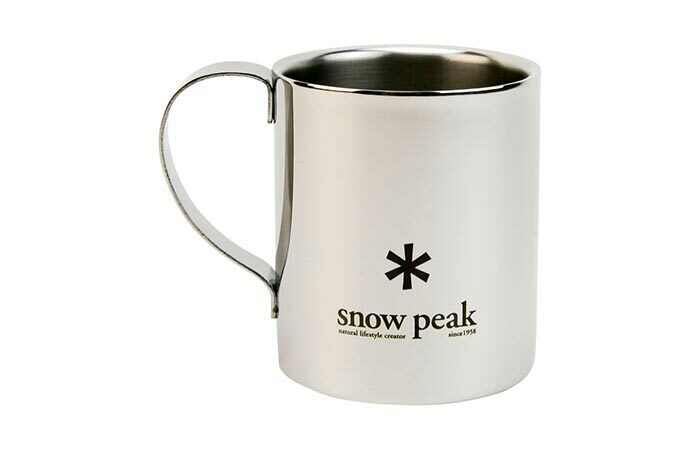 Luckily, the Snow Peak Mug will let you enjoy the first sip in the camp. It comes with a 10 oz. capacity and is made from stainless steel. The material is very durable and will last for many years. Also, it won’t corrode when in touch with water and moisture, which will happen for sure. 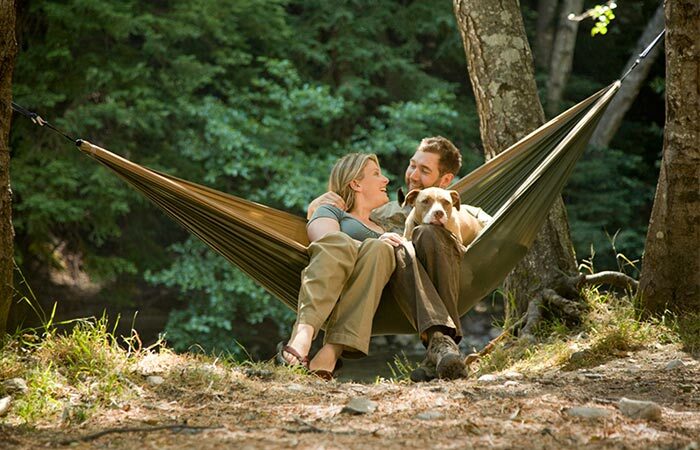 A lightweight and practical hammock. Hammocks are practical and cool. They give you an option to sleep comfortably, avoid wet and hard ground as well as ants and other insects coming inside your tent. One of the best features of the Grand Trunk Double Parachute Hammock is that it’s so spacious and at the same time, very lightweight. You can easily pack it into a stuff sack that will weigh around a pound and when it’s time to set it up, you’ll do it with little effort. It’s crafted from high-strength parachute fabric and can fit two people that have up to 400 pounds. A two person shelter that’s easy to set up. 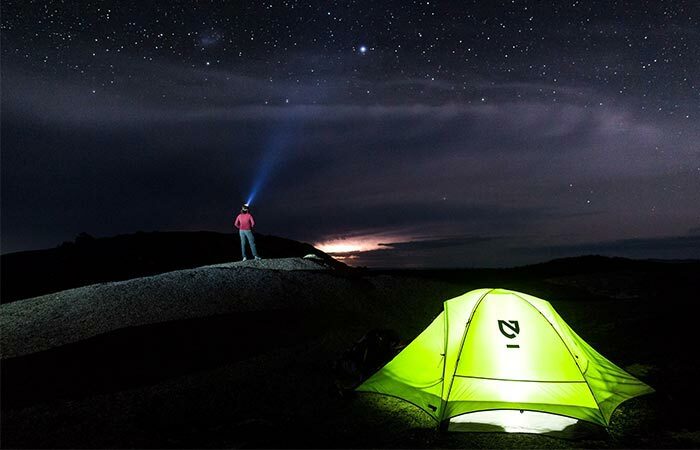 When you’re outdoors, Nemo Galaxi 2P & Footprint will bring you the necessary shelter, whether you’re camping for the first time or have plenty of experience. 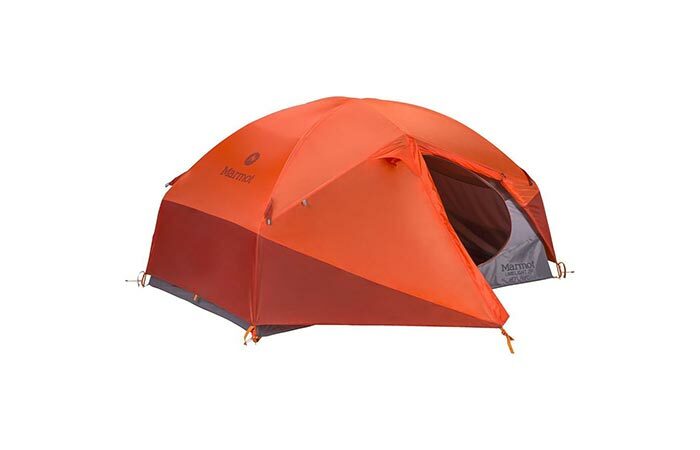 This two-person tent features a 68D PU polyester ripstop fabric and an aluminum pole construction. There’s also the no-see-um mesh shell as well as the drawstring stuff sack that fits everything inside and allows easy carriage. This sleeping pad is just what you need for sleeping on uneven surfaces. Sleeping pads provide warmth and comfort when sleeping on the ground and this one is so good, it can actually be used during winter. It’s made from ripstop nylon on the bottom that will keep it secured on different types of surfaces, especially rocky ones and uneven ground. 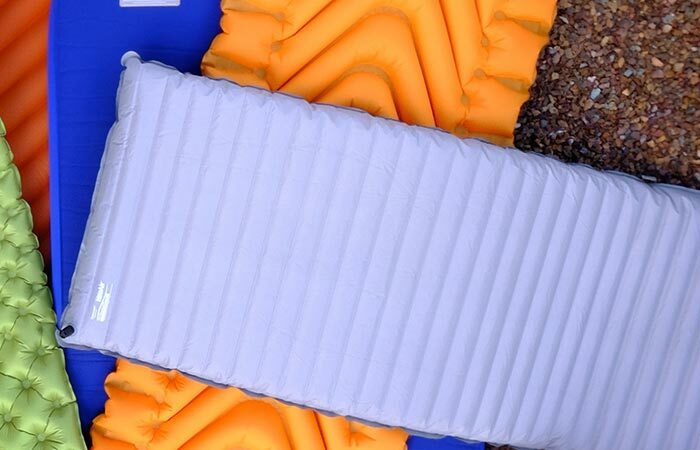 The rest of the Sleeping Pad features a non-slip polyester fabric. Speaking of the construction, it comes with ThermaCapture layers that offer great levels of insulation and keep the heat from leaving. When you’re done using it, it packs into a nice stuff sack. Another thing you get with it is the repair kit, so you’re good in case it has a rip. A spacious two person tent. Since a tent is one of the most important things when camping, here’s another 2 person shelter that will serve you for almost every season. Marmot Limelight 2P features a recognizable Marmot’s Zone Construction that maximizes the space so you have enough room for relaxing. It’s made using a 68D polyester rain fly with fully taped seams, features a DAC Pressfit aluminum pole frame and comes with a durable footprint. Finally, there’s a large double door that will allow you to easily take out your gear. A mummy shaped sleeping bag great for summer camping. 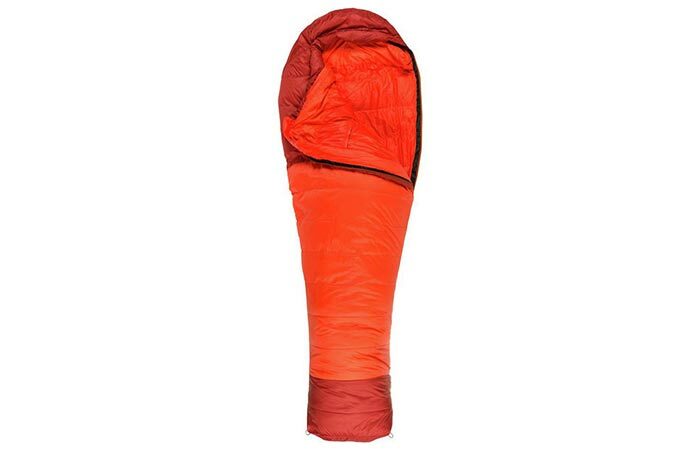 The last item on the list is The Basin and Range La Sal 30 Degree Down Sleeping Bag. It’s perfect for warm weather and summer camping. The bag comes with 650-fill down that’s moisture resistant so you can bring it along if you’re faced with wet climates. Thanks to a ripstop fabric, it’s water resistant as well. The zippers provide ventilation, the mummy shape is great for keping temperature stable and the bag can be easily folded and stored.